iPhone Data Recovery Expert Recovers Lost Data from iPhone/iPad/iPod! 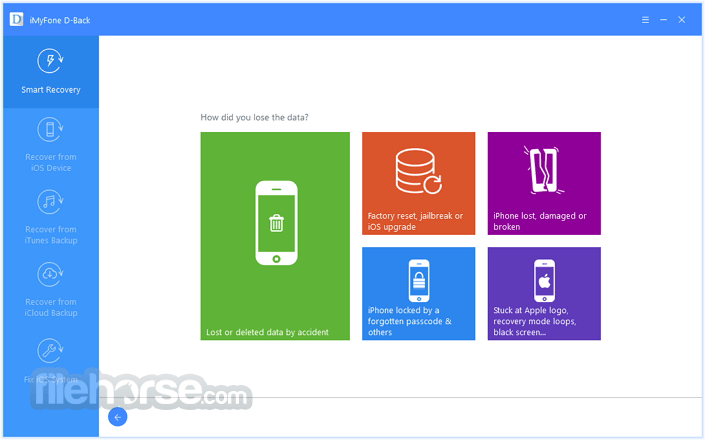 Have you accidentally lost your iPhone text messages, photos, contacts, and more? If so, don’t worry. iMyFone D-Back iPhone Data Recovery is an efficient iPhone data recovery software to rescue all your lost data under various tough circumstances. 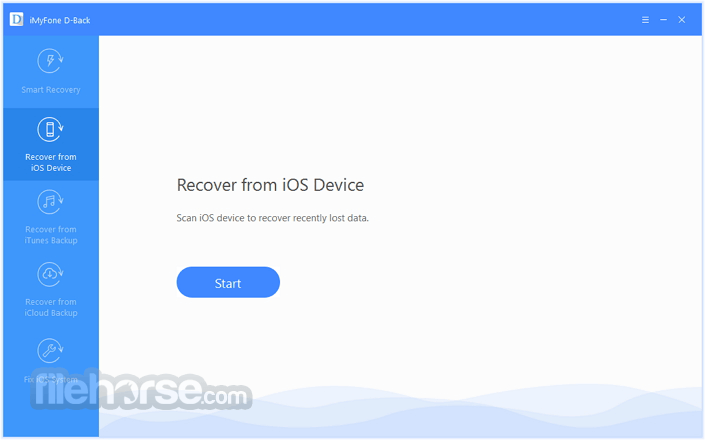 Restore iPhone Data No Matter How You Lost Them! 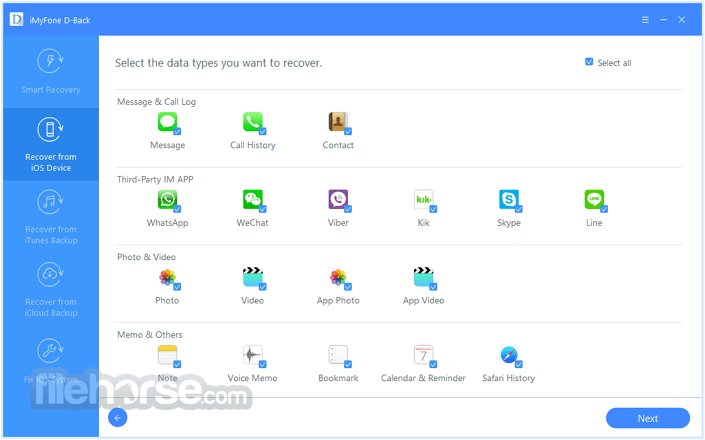 The iPhone recovery software can get back various files including popular third-party Instant Messenger apps' history from your iPhone/iPad/iPod Touch. iMyFone D-Back iPhone Data Recovery allows you to preview both media files and texts in detail so that you can simply and exactly select the data you want to recover. 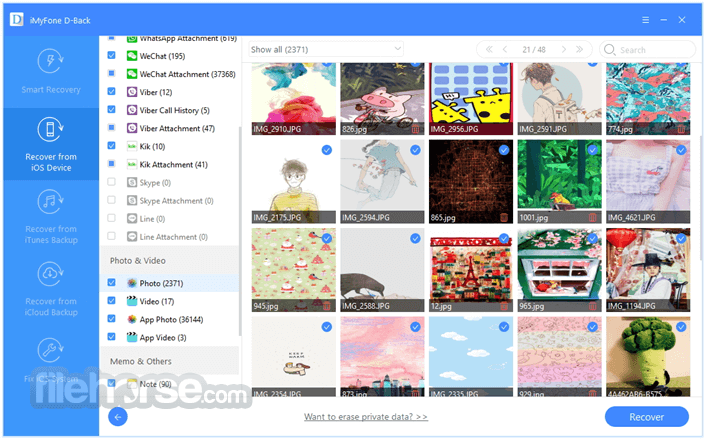 With detailed previews, you may may be surprised to find your lost data which you are eager to recover but did not expect to. This means no digging through lots and lots of recovered files to find what you want! 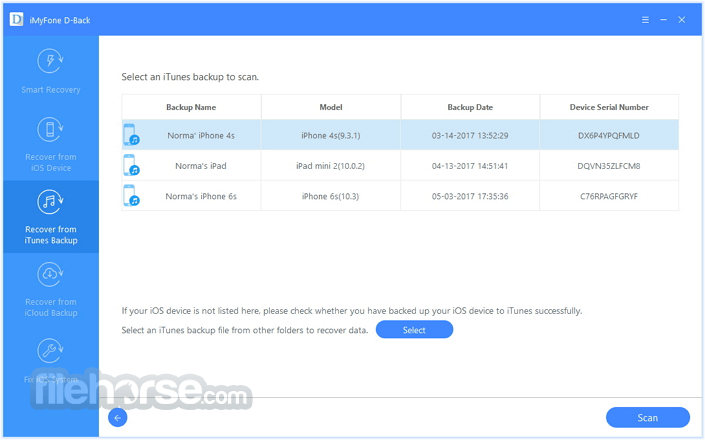 iMyFone D-back can automatically scan your lost data from iOS devices, iTunes backup or iCloud backup according to the file types that you select under the Smart Recovery Mode. Note: Requires iTunes and iOS 7.0 or later. Limited functionality.